Are you a fan of the latest dance fitness craze? You might be wondering whether your standard trainers will do, or if there are others that might be good shoes for Jazzercise. Look no further—we take a look at the best shoes for Jazzercise and explain why you need them. Ryka brings us a stylish cross training shoe with a good amount of cushioning and rebound for dance classes. It has flex foil and direct fuse layers to help support lateral movements, and a traction outer sole with a footprint design. This high-top style cross training shoe laces right up, giving support not only laterally, but also to the ankle. It has a padded tongue and collar, molded heel reinforcement, and cushioning. The traction outer sole has a pivot point design, making it good for Jazzercise and dance fitness. The Bloch Dance Boost is lightweight but supportive. There is built-in elevation on the arch and a variable lacing system for optimum fit. Dri-lex lining lets feet breathe and prevents odor, and the four-part high-density outsole has a spin spot, allowing 360-degree turns. 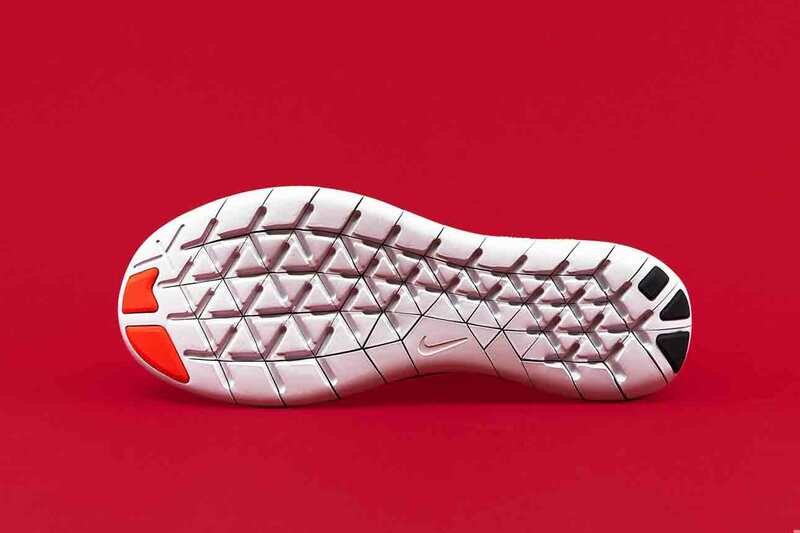 Nike brings us cross trainers with a sole that gives flexibility of movement and traction in all directions. They have a breathable mesh upper and cables in the forefoot to improve fit. The midsole has lightweight cushioning, while the flat heel provides stability from a wider surface area. Flywire cables integrate with laces for midfoot lockdown. Full bootie construction creates a sock-like fit. Let’s not forget the men who love to Jazzercise. This offering from Under Armour has a one-piece foam midsole for comfort and solid rubber outsoles, to prevent wear on high impact zones. There are leather overlays to keep your midfoot locked and stable. Choosing a shoe that can keep up with your feet while pounding away during this dance exercise regime is a must. With so much twisting and turning, you will need support and comfort. These are our top five picks of the best shoes for Jazzercise. Ryka is a brand that only makes shoes for women. The company understands that a woman’s body is different and engineers its footwear to address this. These shoes have a narrower heel, increased instep volume, a roomier forefoot, and a more secure footbed. They come in eight different colorways. There are some predominantly black, with accents of pinks, grays, blues, or greens. Others are mainly gray, with pink, silver, or blue accents, and there’s one white with pink and aqua. Sizes for this shoe range from a ladies 5 through 11, in half size increments. They also have two width fittings: medium and wide. The upper is made from breathable synthetic mesh, with a lace-up front and a padded collar and tongue. Ryka’s Direct-Fuse and Flex Foil layers give support throughout the foot. The midsole is made from density foam and N-Gage EVA to give cushioning, retain shape, and return energy to the foot. The outsole has a footprint design and pivot points, to give added traction and make movement easier during a dance cardio routine. Inside the shoe has a comfort fit insole with cushioning and a textile lining. Wide range of sizes in two widths. Cushioning from the midsole and insole. Designed to fit the female foot. The toe area might be a bit small for some. A pair of cross training shoes that come in a wide choice of colors and sizes. Cushioned from heel to toe they support your feet. They also have a breathable upper to keep feet cool and fresh. 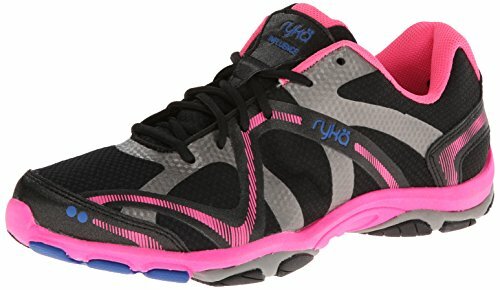 This is our second shoe from Ryka. 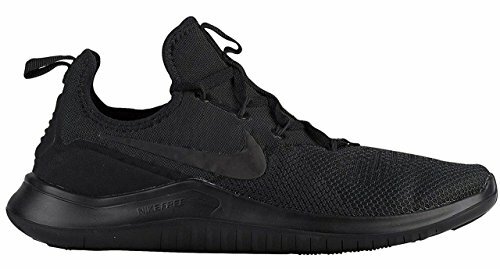 This time you can combine street style with workout functionality, in a high-top style shoe. The breathable uppers are synthetic mesh, designed to keep feet cool. 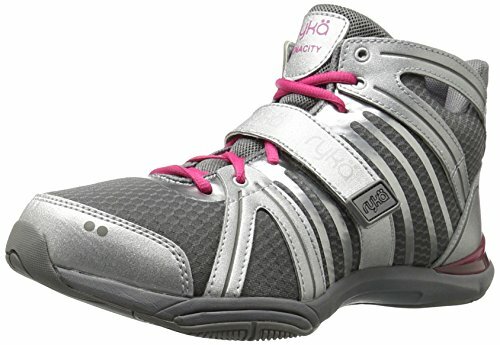 The round-toed style has a lace-up front and a strap secured with velcro at the instep, which helps for a secure fit. They are available in five colors, including a pale gray and pink, all black, or black and camo options. They fit ladies’ feet from sizes 5 through 11 in half size increases, and are a medium width fit. Like most other Ryka workout shoes, there is support from the Flex-Foil and Direct-Fuse layers, and a dual foam midsole. It’s flexible and has a re-zorb footbed to help with absorbing shock. The sole has a pivot point for ease of completing dance movements. While a high-top style might not suit everyone, it does offer more support in the ankle area, helping prevent twisting or rolling. The lining of the shoe is smooth and has a cushioned insole. High top gives ankle support. Additional velcro strap at the instep. Only available in a medium width fitting. A high-top cross trainer offering ankle support. The midsole is dual foam for added shock absorption and the sole has a pivot point to make dance moves easier. Bloch is a company dedicated to making shoes for many different genres in the world of dance. These shoes can be worn by men or women. They are available in two colors, pink or black, and in sizes from 4 through 15.5, in half size increments and a medium width fitting. For women, choose one size up from your street shoes, or one and a half sizes if your feet are wide. Men need to choose three sizes larger than their normal street shoe size. The outer sole is split and the shoe is made with a high arch. It is very flexible and lightweight, allowing lots of movement when dancing. A variable lacing system and arch support are built in for a good fit. They have a suede grip in the heel, a breathable Dr-Lex lining that doesn’t wrinkle, and an EVA molded sock liner. The midsole has a 4-PSI air cushion, to help absorb shock. The uppers are made from suede and mesh. A man-made outsole with a spin spot helps with dance moves, like 360-degree turns. Designed with dancers in mind. Might take some trial and error to get the right size. No choice of width fittings. A shoe specifically made for dancers, with good support and shock absorption. Breathable uppers and linings keep feet fresh, but sizing might be a challenge. Nike is a trusted name in the fitness market. The brand has been making shoes for over 40 years. Many of its products are endorsed by top athletes, including Roger Federer, Tiger Woods, and Michael Jordan. The TR8 shoe is designed for cross training, HIIT, and gym work, and is suitable for Jazzercise. For the fashion conscious among you, it comes in a choice of 32 different colorways. The sizes range from a women’s 5 through 12, with half sizes available and a medium width fitting. It has a mesh upper, allowing the feet to breathe, and a lace-up front, with Flywire cables at the midfoot for a better fit. The bootie style fits the foot like a sock. The midsole is lightweight but provides cushioning for shock absorption. A flat heel gives a wider surface area, helping with stability, and flex grooves let your foot move naturally. This shoe is very flexible, but still supportive through lateral movements. Flat heel for better stability. Tend to run small so you might need a larger size. 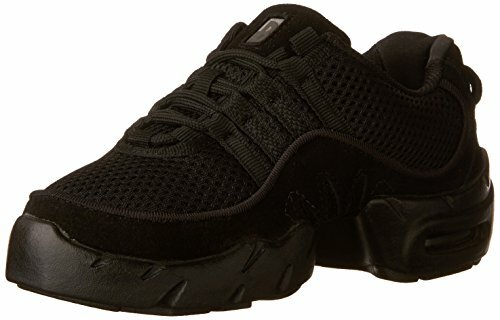 A lightweight and flexible dance shoe from a trusted brand in the fitness market. There are a wide range of color choices. The midsole provides shock absorption and a wide heel gives stability. Jazzercise is not just for the ladies, many men out there also avail themselves of this fitness dance regime. 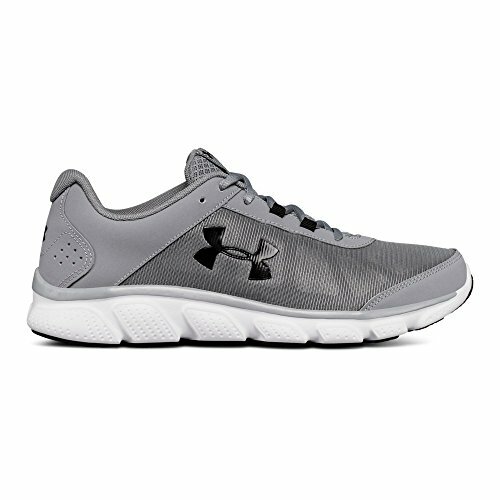 These shoes from Under Armour could fit the bill for men. The shoes are available in seven different color combinations, mainly gray, black, and white. They come in sizes 7 through 15, with half sizes up to a 12.5, and all are a medium width fitting. The mesh uppers are lightweight and breathable, and have a leather overlay that locks in your midfoot to give stability. An EVA sock liner is added, to give softness and comfort. A midsole, constructed in one piece from the company’s Micro G foam, gives flexibility and cushioning from impact. The solid rubber outer sole is lightweight, but provides durability on areas that get more use. Laces that can be locked down in the midfoot area for stability. Many find these shoes run a little small and narrow. This is a lightweight, flexible shoe, with shock absorption from a one piece midsole. The mesh upper is breathable and the laces adjust over the instep for support and comfort. This high impact exercise regime can take its toll on your joints if your feet aren’t given the right amount of movement and support. The moves involved in Jazzercise will also require you to be stable but not have too much traction. You can’t glide, slide, and pivot if the soles of your shoes pin you to the floor. A style which allows air to circulate around your feet and keep them cool will help prevent them getting too sweaty and overheating. This is especially the case if you have feet that tend to perspire a lot, or if you have a foot condition, such as athlete’s foot. You want your feet to be dry and cool, which will make them feel more comfortable. Mesh Uppers: All the small holes in the mesh will let air in and keep the feet dry. They essentially allow your feet to breathe. Canvas can do this as well, but it doesn’t have the same flexibility as mesh. Holes in the side: Some leather shoes might have small portholes in the sides of the shoes, to let air circulate around your feet. Our material of choice would have to be mesh. It’s supportive but flexible enough for the movements involved in this type of exercise. It will help to keep feet dry and more comfortable for the whole workout. After all, the cause of smelly feet is bacteria, which can build up when your feet sweat. Wearing socks that will wick moisture can also help keep feet dry. Look for natural wool, or one of the many synthetic polyesters or acrylics, like Coolmax or Wickspun. Remember to let your shoes air out after a class. This will help keep them smelling fresh and prevent bacteria from making them smelly. You can sprinkle some foot powder in them, or use some natural bamboo and charcoal deodorizing bags. Padding and cushioning in a shoe are there to help keep your feet comfortable. Nevertheless, just like some people prefer a hard or soft mattress on their bed, the preference for cushioning in shoes can vary. Not all feet are equal, you may have flat feet or high arches. Your feet might be wide or narrow. The amount of cushioning depends largely on personal preference and the shape of your feet. Those with high arches may need more support for the midfoot, while this might not be comfortable for someone with flat feet. A cushioned insole: Can help absorb some of the impact on your feet during all that leaping and jumping around. They can help prevent your feet from becoming tired and sore. A cushioned midsole: Another way to provide comfort and reduce the stress on your feet and joints during high impact exercise. This could be in the form of EVA, foam, or gel. This type of cushioning is an integral part of the shoe. Extra cushioning in the heel area: This never goes amiss. It might help stop your feet and legs becoming tired during your workout and help you enjoy it more. Padding: Some people may like padding around the ankles. If so, go for a high-top style. Extra cushioning: Along the tongue, where the laces are, might be beneficial for people with high arches. Shoes made for running tend to have a lot of traction and solid soles. That is something you definitely don’t want when doing dance moves. Look for shoes that allow your feet to move. They should be flexible along the length of the sole and the upper. Try bending them in half from the heel to the toe and see how they fare. Features like grooves in the sole will allow them to flex with your foot. Rubber is a good option, but make sure it’s not too thick. Another thing to look for is how well they will let you pivot on the spot, or slide your feet from side to side. Many shoes suitable for Jazzercise will have a pivot point on the sole, letting you complete these types of moves with ease. Although you want them to be flexible, make sure the soles aren’t too thin. You still want support and shock absorption, so you don’t injure yourself. When you’re jumping, kickboxing, twisting, and turning, you don’t want to feel like you have lead weights on your feet. Many shoes designed for cross training and dance use materials like mesh and rubber which are lightweight. This makes them a good option for the dancing and other disciplines involved in Jazzercise. Another factor to consider is how well the shoes fit you. You don’t want your feet slipping at the heel, or to have your toes pinched and cramped. When you try the shoes on, lace them up so they’re snug but not tight. You should have a bit of wiggle room in the toes and your toes should not be touching the front of the shoe. When you walk in them, your heel shouldn’t slip. Remember to use the socks you intend to wear with your dance shoes, and put any insoles or orthotics in that you will use. Give the shoes their own workout by walking around, squatting down, and flexing your foot, to see how they feel. Bear in mind that it’s possible your feet might swell while you’re working out, so a little extra room around the foot is good. You might think of Jazzercise and visualize the leotards, leg warmers, and headbands associated with workout classes of the 70s and 80s. However, just like anything else, Jazzercise has moved on. This HIIT aerobic fitness regime combines pilates, strength training, yoga, and kickboxing, all in a dance-based routine. The moves are choreographed to up-to-date music, which is changed regularly so you don’t get bored. 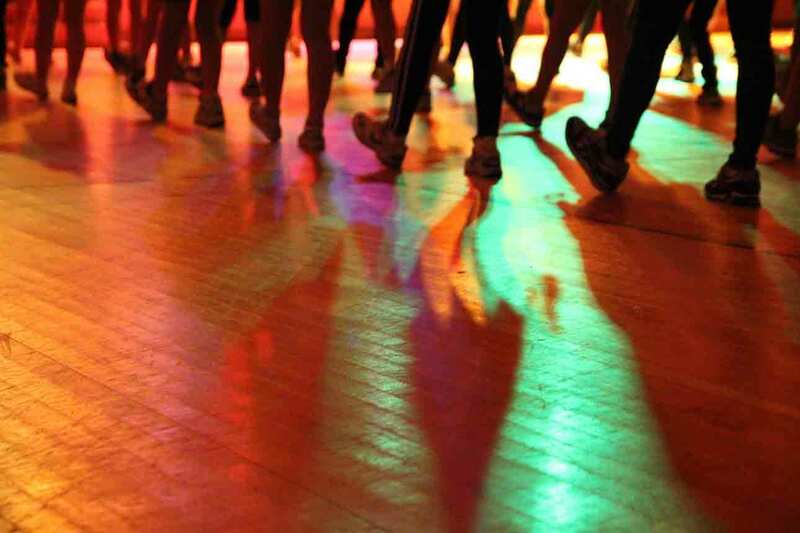 It’s a dance cardio exercise regime that suits everyone, even if you have two left feet. Jazzercise has many health benefits, including weight loss, muscle toning, improved cardiovascular health, and stress reduction. On top of that, you get to meet new people and have fun. This video will give you some idea of what Jazzercise is all about. Why Do I Need Special Shoes for Jazzercise? You wouldn’t dream of wearing your Ugg boots to go skiing or snowboarding. Of course, you would want special boots that are fit for purpose. The same applies when it comes to Jazzercise. Many workout shoes have a solid outer sole, to provide stability to the whole foot when exercising or running. However, Jazzercise involves lots of twisting, turning, and jumping. You need shoes that will be flexible enough between the ball and the heel of the foot, so you can pivot easily. Can I Wear My Running Shoes for Jazzercise? Your normal running shoes or sneakers might not offer the support and flexibility needed for this type of workout. You don’t want to be twisting your ankle or turning over on your feet while you practice those moves. This video shows you some of the moves you’ll be putting your feet through when Jassercizing. Finding the right shoe for your Jazzercise session will mean you won’t have to worry about your feet. They will be comfortable and feel supported, even though you are putting them through their paces. Shock absorption throughout the sole of the shoe will protect feet and joints, and help prevent fatigue. Of our top five of the best shoes for Jazzercise, our favorite is the RYKA Women’s Influence cross training shoe. They have the right amount of support and shock absorbency you would need from a shoe for this type of workout. The sole has a pivot point and they’re well cushioned. There are a variety of sizes and color choices, so there should be a pair that will appeal to your sense of style. We hope you enjoyed our guide. The ultimate choice of shoes is up to you, but make sure they are comfortable and a proper fit. Before you head off to get your groove on, please leave us a comment—and don’t forget to share.